The terrain at Fernie is uniquely suited to take full advantage of the abundance of snow. Five vast, glorious alpine bowls spill down from the serrated limestone ridge of the Lizard Range. Fernie skiers and riders are still talking about the new Polar Peak lift, installed 2011/12 ski season, it increases the resort's vertical by 222 metres (740 ft) to a substantial 1,065 m (3,550 ft). And, the Polar Peak lift provides skiers and boarders access to the 'above treeline' experience off the summit of one of the highest peaks in the Lizard Range. This new area has added over 20 new runs for the resort. It's no wonder, Fernie Alpine Resort was awarded 'Best North American Resort' at the 2012 World Snow Awards in London. To complement the over 2,500 acres, an amazing 1,065 m (3,550 ft) of vertical and five bowls filled with amazing skiing and riding fun, Fernie has all kinds of activities for all ages including the new Winter Skills Course, Kids Wings Program, Kids Apres and Geocaching! Try out the latest craze in winter adventure, with the new zipline ride, available during the holiday season. With constant dedication to the mountain conditions and 29 feet of annual snowfall pounding down on the mountain, new for this winter is enhanced on-mountain signage and also an enhanced trail map that now highlights the diverse terrain across the 5 bowls. Fernie is known for featuring live musical acts on a regular basis as a committed part to local culture and arts. New to the musical venues at the resort is the Lost Boys Cafe where music from local musicians can be enjoyed over a delicious Mogul Smoker at the top of the mountain! Outstanding, value priced Ski & Stay packages are available. 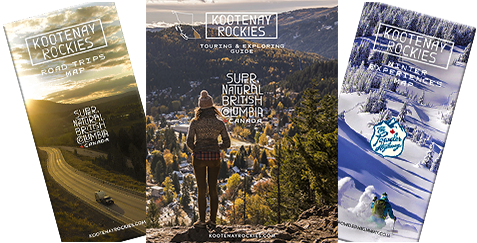 Choose from a variety of accommodations including ski-in ski-out, downtown, townhouse/condo, bed & breakfast or private home rentals. Over 2,500 acres and an amazing 3,550 feet of vertical. A fun day with friends. One of Canada's Best Ski Resorts.